Eskimo-3® Double-Strength 1000 mg / 90 softgels - Nature's Way®. 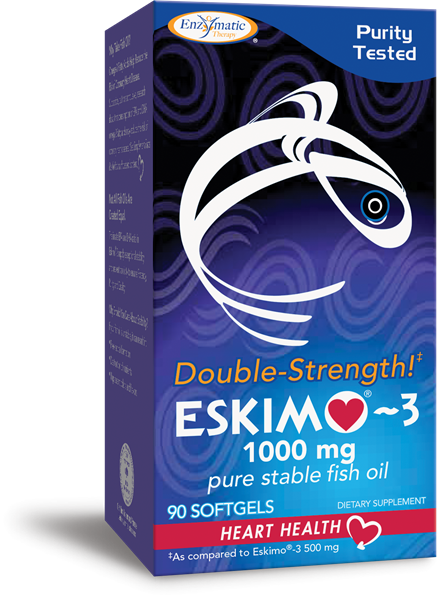 If your healthcare professional is recommending you take a fish oil, Eskimo®-3 pure, stable fish oil 1,000 mg is for you! Take 1 softgel with meals one to three times daily. If taking any medications, consult a healthcare professional before use.